Letting go of an employee for any reason might be difficult to handle, especially in the case of a forced layoff where it might become extremely challenging to have an open conversation with regards to the layoff. Putting it in writing not only makes it easy to put the word forward but also serves as an official document to record the termination process. 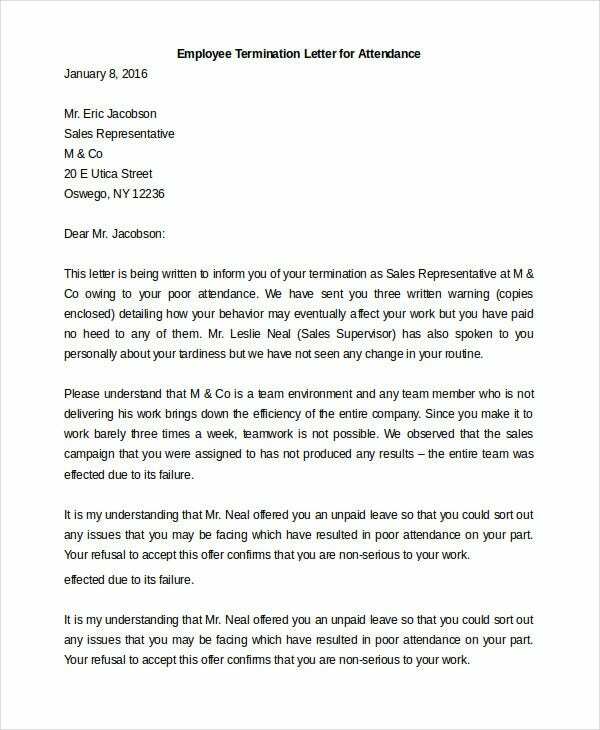 With this letter, you let the employee know why the decision has been taken and what are your responsibilities. 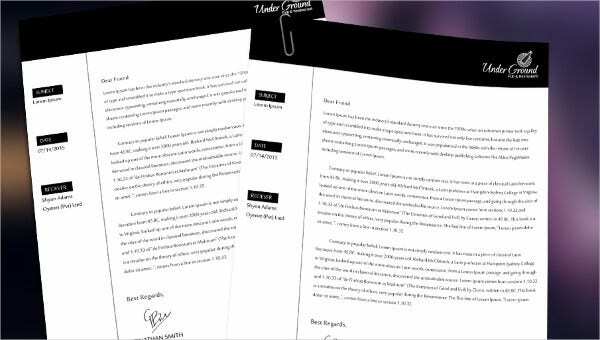 This is a professional but simple employee termination letter which you can edit and customize to document the last working day of an employee in the company on the company letterhead. 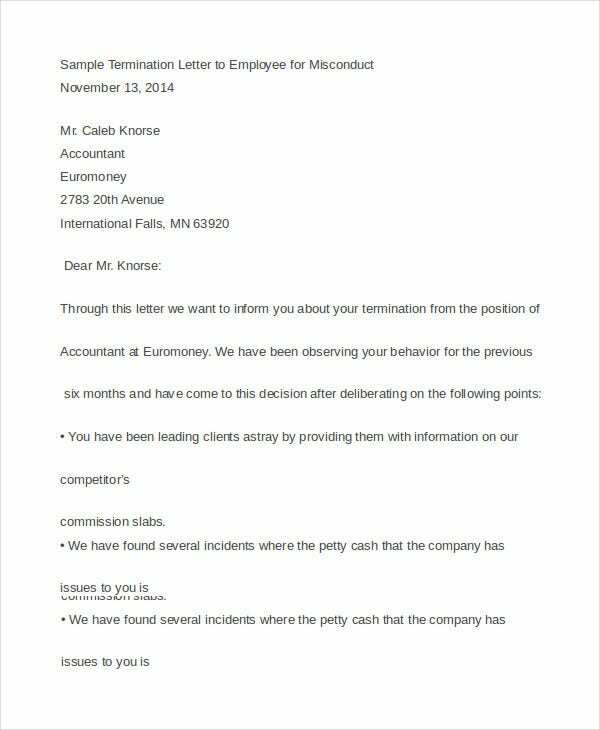 The following sample termination letter clearly outlines the misdemeanor of an employee which led to the termination and the name of the person who is handling the cessation of work. 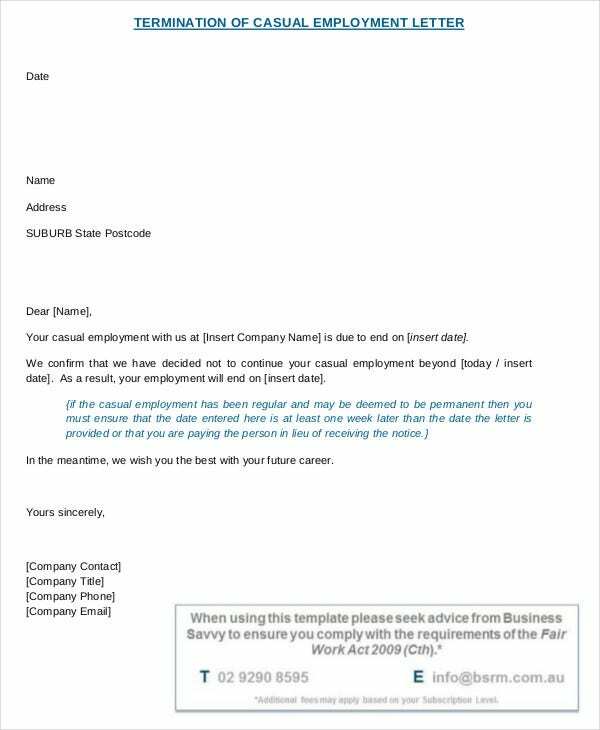 > How to use the Employee Termination Letter format? Employees might be fired for numerous reasons such as poor performance, tardiness or verbal abuse or they might also be forcefully laid off by the company. If you are terminating an employee for reasons under their control, a job termination letter acts as a note enumerating the actions which led to the termination. 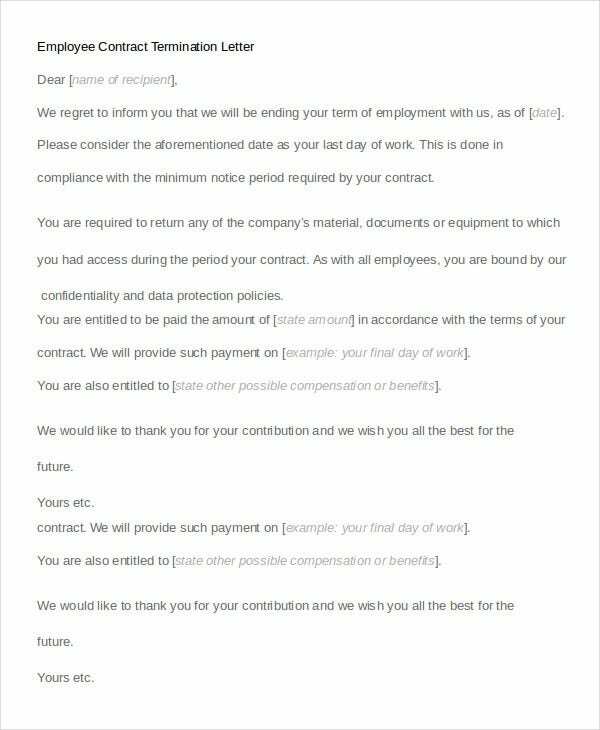 The templates here can assist in customizing an appropriate format of a job termination letter and you can conveniently edit it every time as per your needs. When you are initiating an employee’s termination, letting the employee know why the decision is being made could be difficult and therefore, the above template will provide an appropriate guideline. 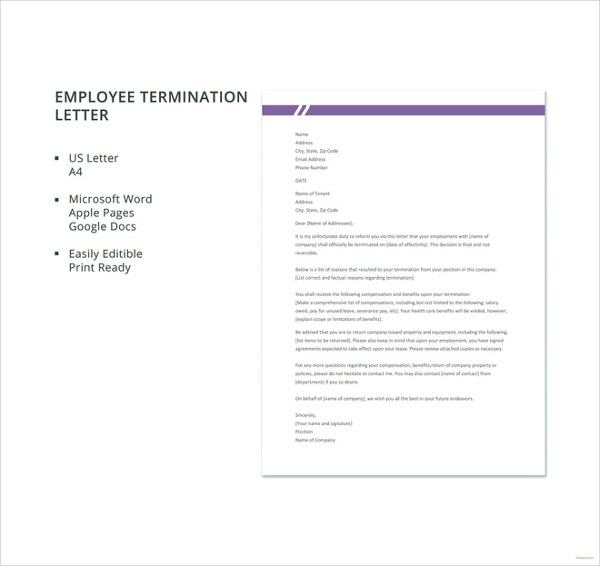 You can personalize, customize, and edit the format of the Job Termination letter for an employee to accommodate the information required to prepare a personalized job termination document for your company. 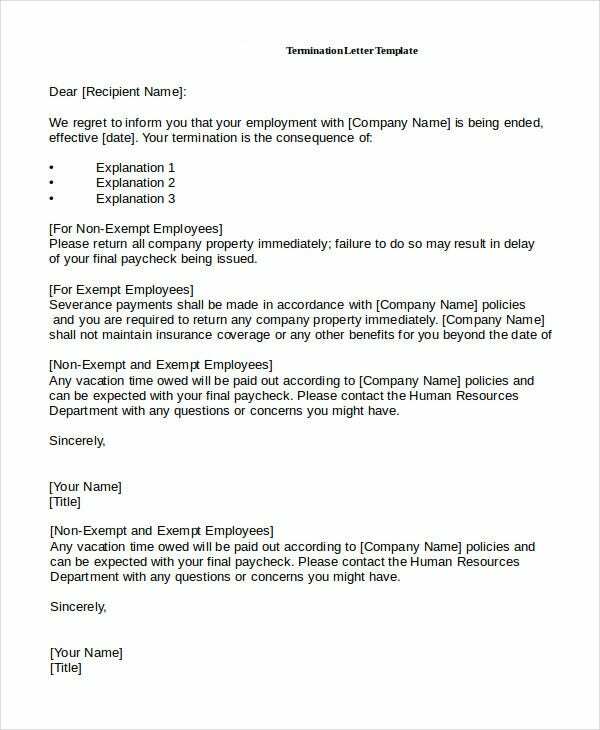 > What are the benefits of using an Employee Termination letter? 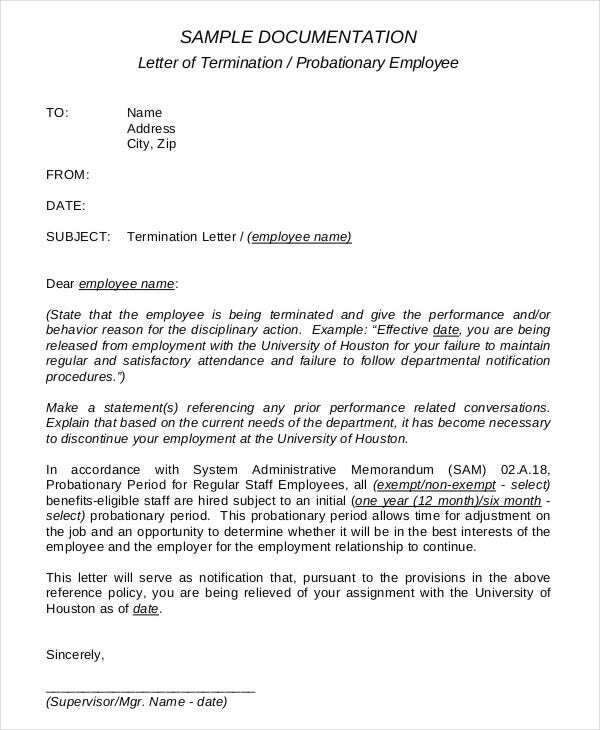 An Employee termination letter typically includes the name of the employee who is being terminated, the name of the company, and the name of the person who is handling the process. You also need to include the date when the termination becomes effective along with the date of the issuance of the letter. Sometimes a termination might happen because of the inability of the company to make the salary payouts. It might not be in your control. You might be a line manager or an HR manager and forced to make an otherwise productive employee redundant because the business is going through rough times. 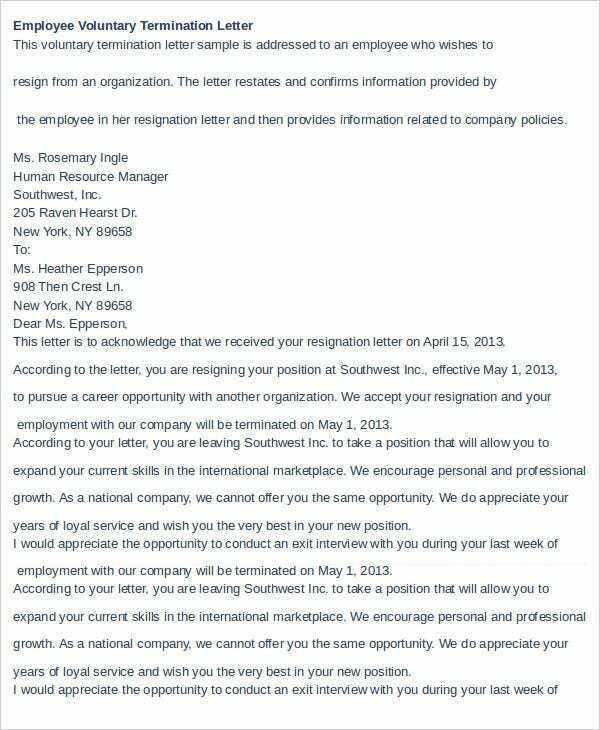 A Job termination letter effectively bridges such difficult conversations. 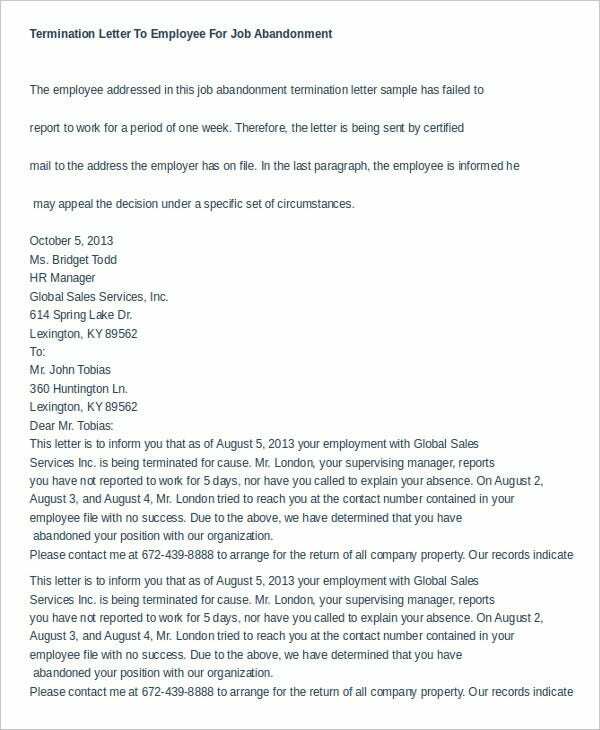 A termination letter should be crisp, compact, and professional to the core. Hence it is imperative to choose your wordings carefully before drafting a termination letter or better still, customize any one of the templates available here so that you do not have to spend a lot of time in creating such a document from scratch.